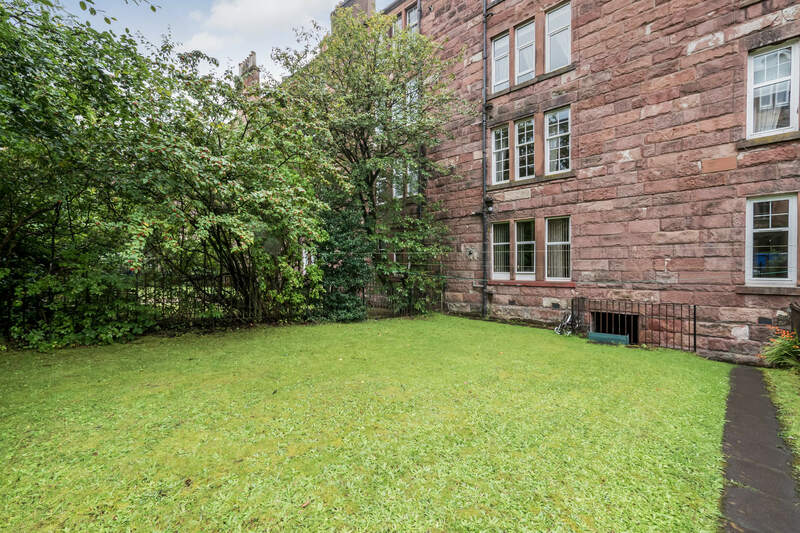 Bright, spacious and well presented second floor, two bedroom flat within a handsome red sandstone tenement occupying an extremely popular location in Hyndland, West End. 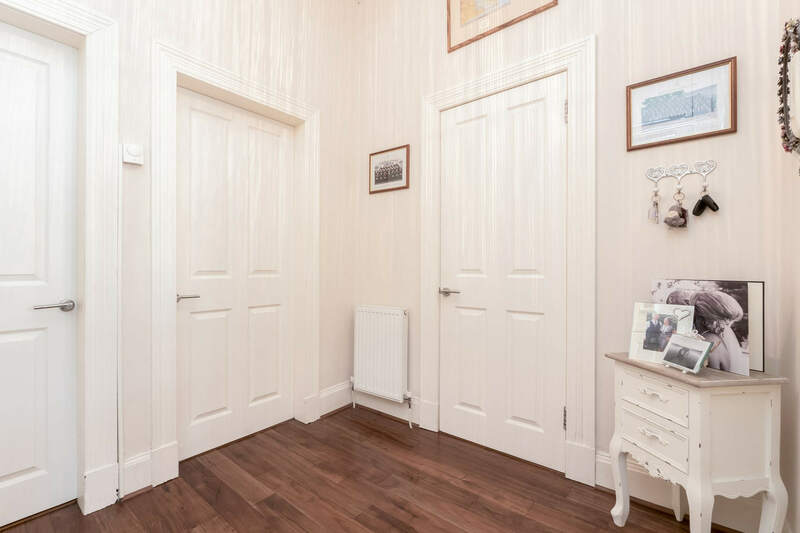 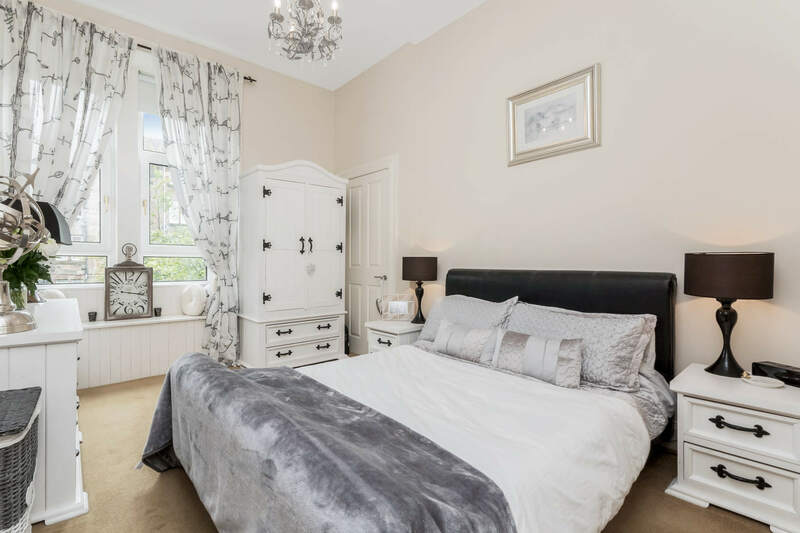 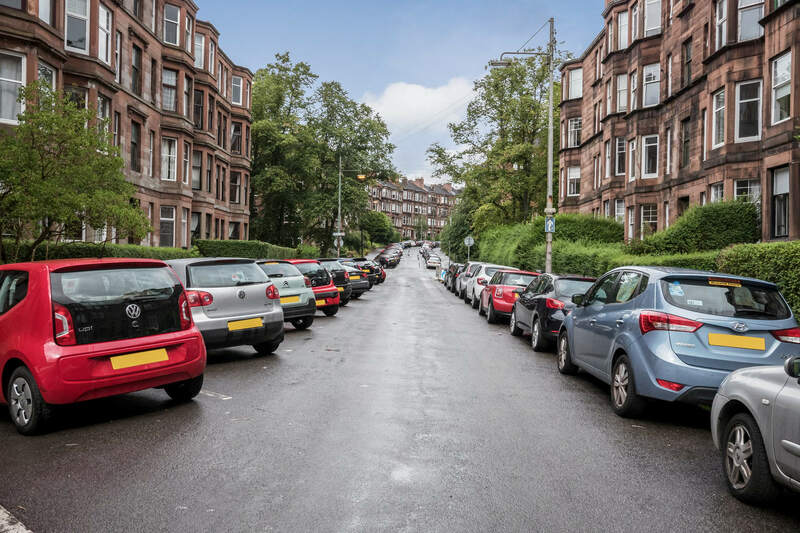 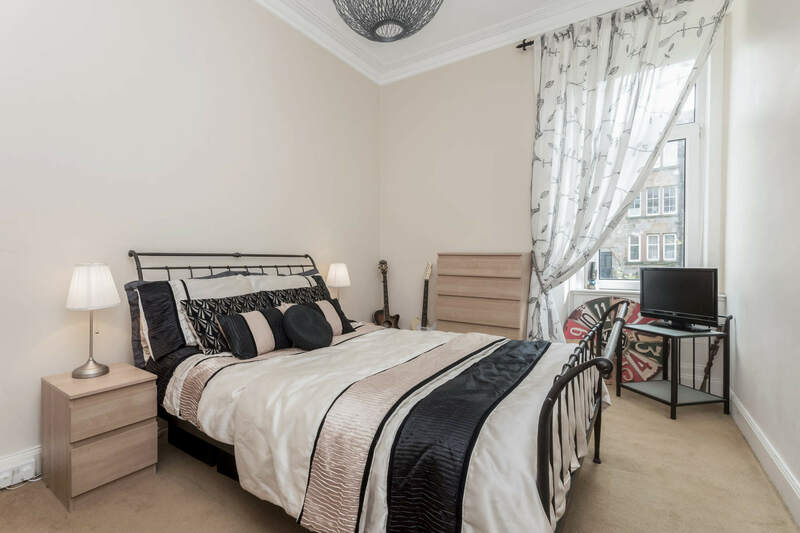 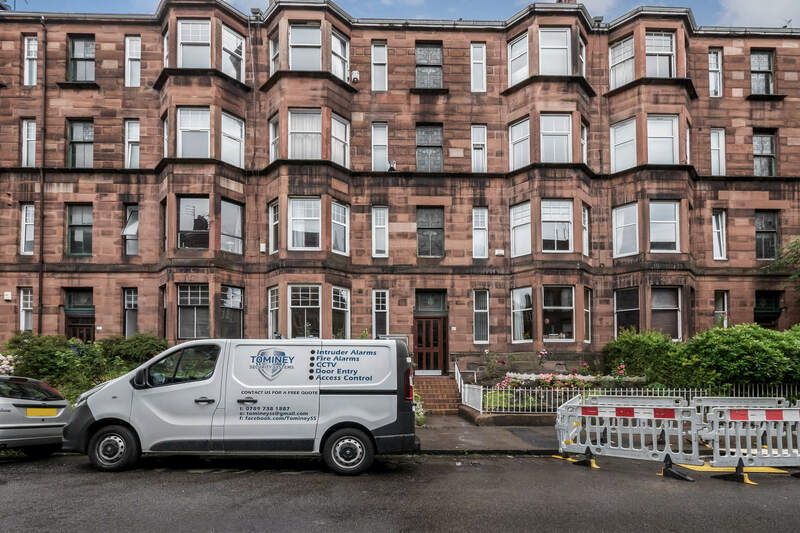 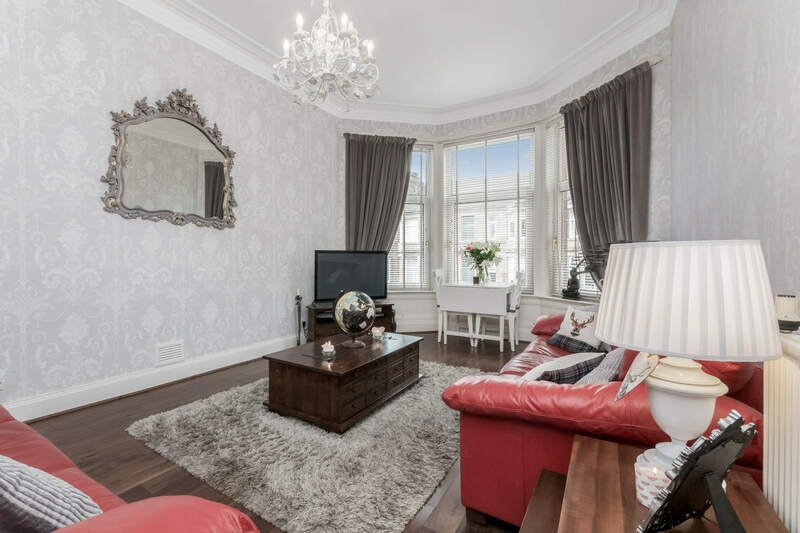 The property offers a tasteful blend of modern and period features and is within a few minutes’ walk of an exceptional range of amenities on Clarence Drive, Crow Road and Hyndland Road. 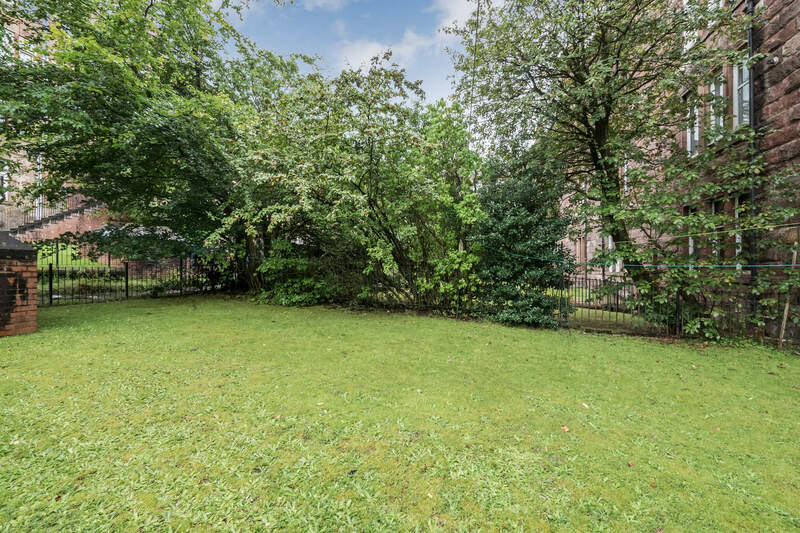 Hyndland Railway Station is less than one minute’s walk. 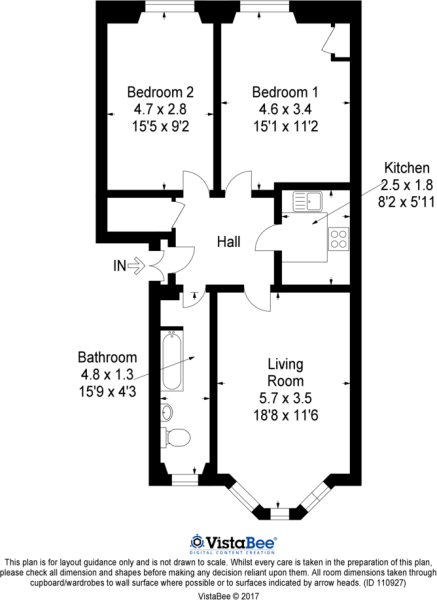 The accommodation comprises: secure entry; reception hall with engineered wood flooring and large storage cupboard; bright and spacious living room with engineered wood flooring and bay window; modern kitchen comprising a range of base and wall units with integrated appliances (electric oven and hob, washing machine, freestanding fridge freezer); two good sized double bedrooms to the rear; bathroom with WC, wash basin, bath and mixer shower. 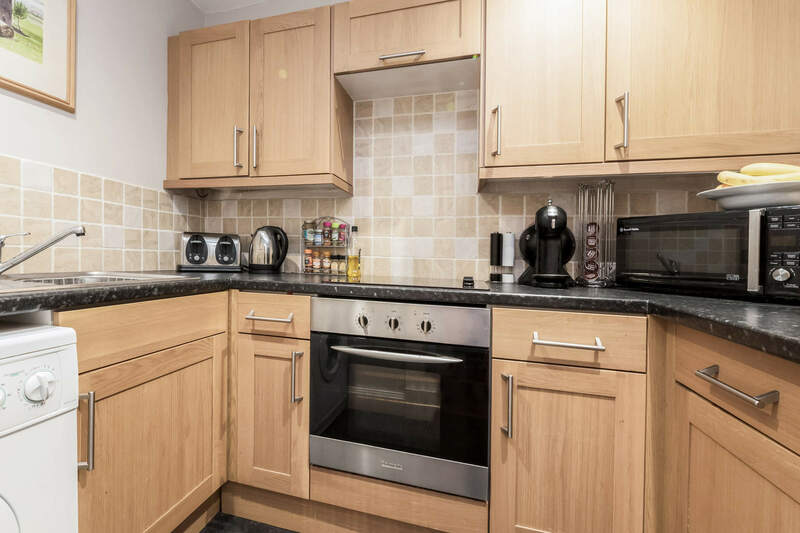 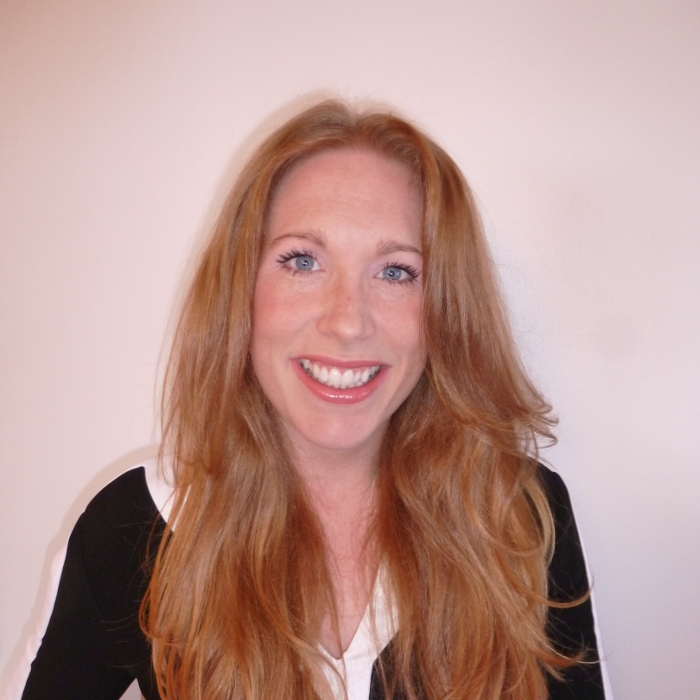 The property also benefits from gas central heating, double glazing and a well maintained residents’ rear garden. 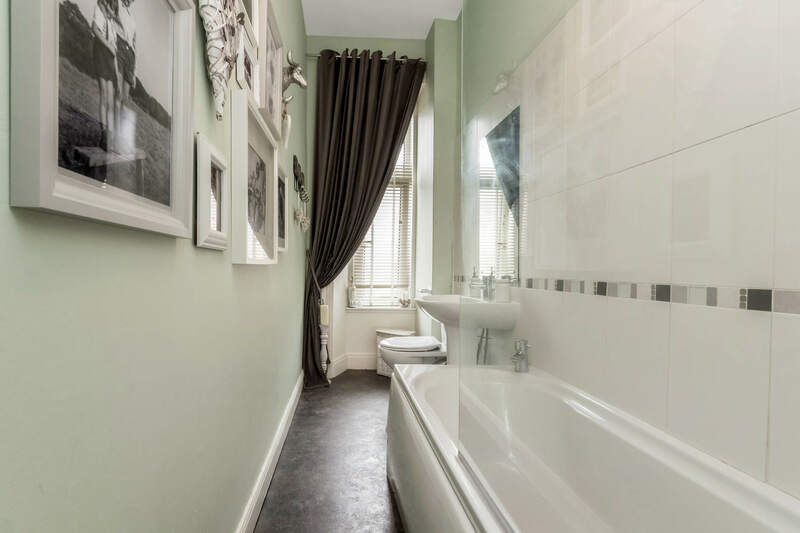 EER Rating C.